Pay Per Click has instant impact giving your brand a larger, more impactful reach. As its result, first page exposure on must major search engines can be easily accomplished. People who click on Pay Per Click sponsored links are closer to a buying decision and more likely to be ready to pay for a service or product immediately. We manage our clients’ accounts on a daily basis and monitor bid prices and budgets to ensure that we are maximizing ROI. 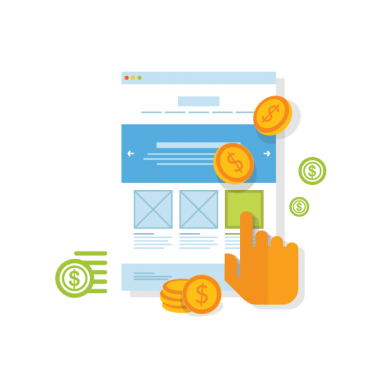 Our outstanding results are due to our complex and tailored approach which includes a detailed overview of our client's business and aspirations for Pay Per Click advertising, as well as a review of options featuring a prioritized list of recommended activities. We provide up-to-date, Pay Per Click services that include: Paid Search Ads, Video Advertising, Display Ads, PPC Remarketing and Social Advertising.